Higher ground. 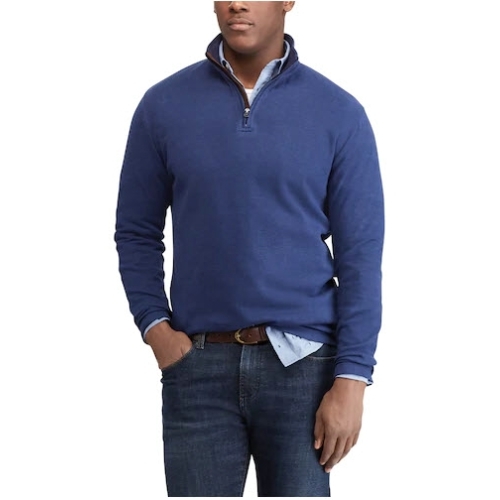 Elevate your work day or weekend look with this stylish men's sweater from Chaps. Natural stretch fabric. Ribbed cuffs and hem. Signature embroidered Chaps laurel wreath. Quarter-zip front. Cotton. Machine wash. Imported.